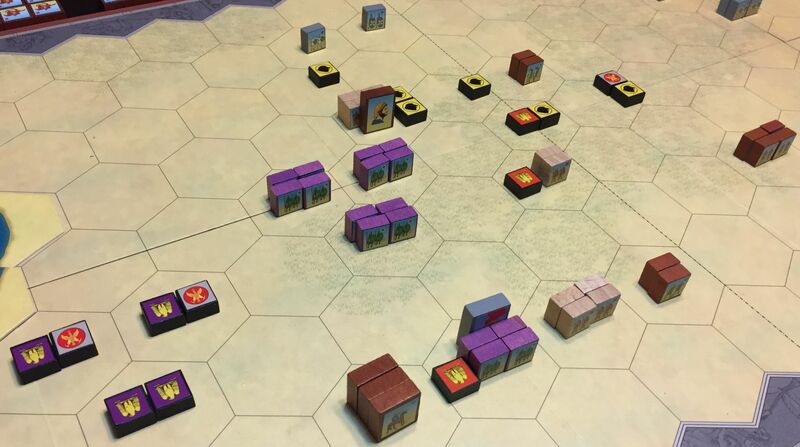 The EPIC versions of Commands & Colors Ancients had always a special appeal to me. These are not the games you can win by pure luck or just by incident. You need to heavily depend on units without leader support and really plan long term. The left wing will not help the right and vice versa. There will be no time to cross the whole long EPIC board. I also like very much the hand management – ability to commit more and “shorten your hand”, just to recover it later on. 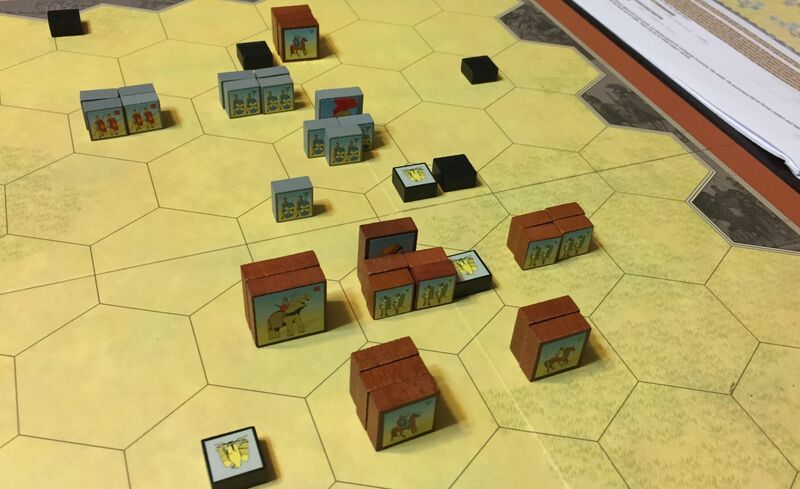 Below three first EPIC scenarios from Expansion 5 – Cannae, Illipa and Raphia. Also played to refresh my memory of those engagement before Mini Tournament 62 EPIC Battles. 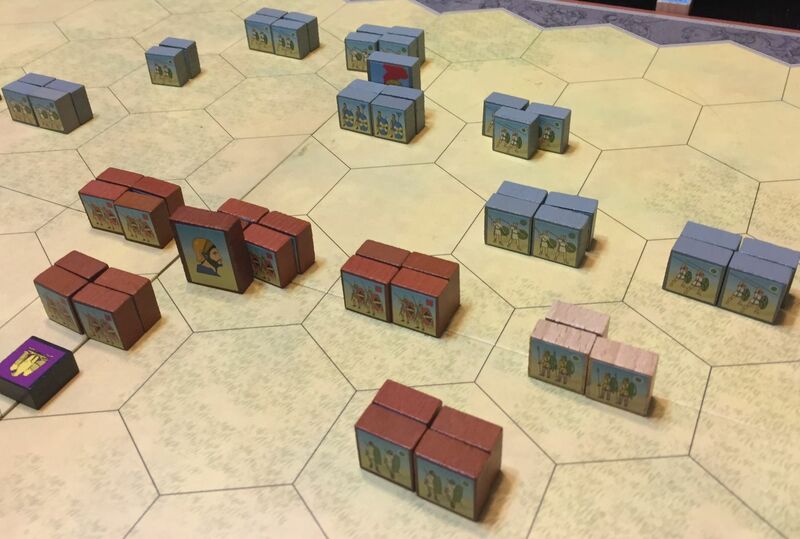 However, on my right Carthage forces had no problem to crush weak Romans and the game finished in decisive Punic victory – as per history! 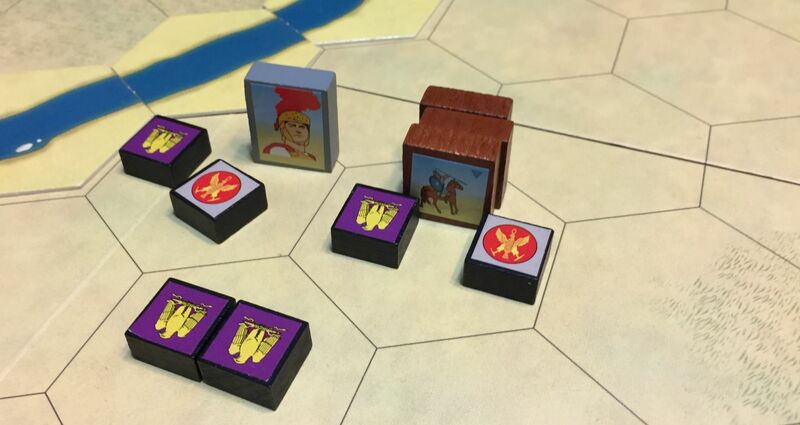 Still, it was good to play that interesting and – especially for Romans – difficult scenario. That was a really thrilling game, with suspense till the last moment. 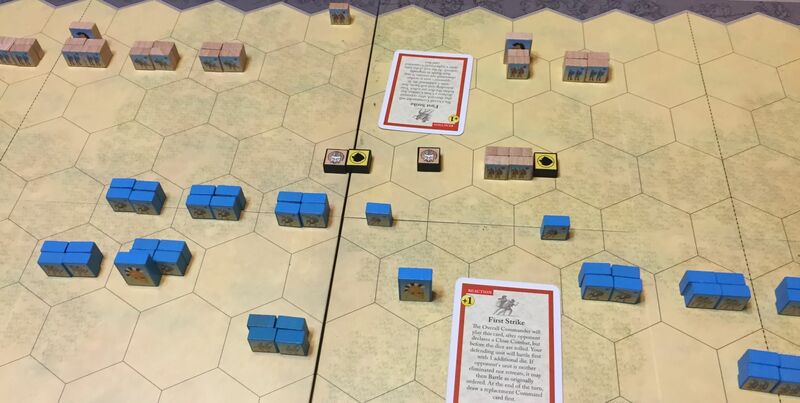 Again, we were witnesses to very, very balanced game where probably the biggest twist and surprise was in the center – two First Strikes – one for each side – is a rare thing! That meant that with 2 points headway Marcin won. Wow, that was a really great 3 scenarios. 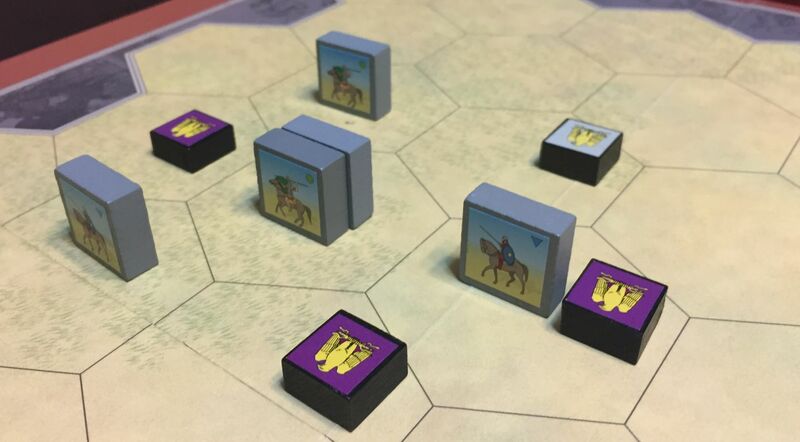 I have not played EPICs for long time and almost forgot how interesting, deep and unforgiving they are while teaching you the patience and forward planning!